The way we talk to ourselves has a profound impact on our lives. We are all deeply loved by our Creator. So why are we so very hard on ourselves? It affects our perspective on life, our general outlook, our resiliency, our growth, our ability to handle our own mistakes, our attitude, and our relationships with others. 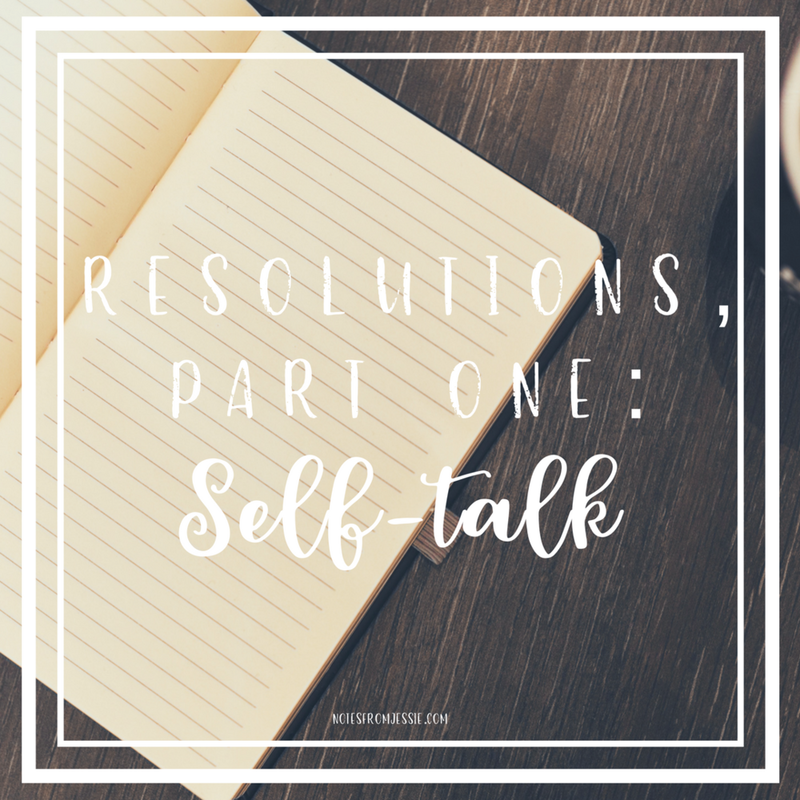 I know I'm guilty of not-so-positive self-talk. Is anybody else with me? Not that I'm proud of it. I know it's not a good thing. And yet somehow I keep doing it. I need to pay more attention to what I'm telling myself (and maybe you do, too?). Have you found yourself saying any of the following? "I'm never going to be able to do that." "I'm not as good as her." "I wish I was more like him." "If only I could be ____, could have ____, could do _____, then I would be happy." Scrolling through Instagram or Facebook, it's easy to compare our lives with others', but what we don't see are the 12 pictures they took (with double chins, smeared makeup, bedhead, and socks with holes) before the one that made it (with the perfect filter, posed just right, and paired with a witty caption) online for us to see. We see all the nitty-gritty details of our own lives, but only the highlight reels of most other people's. And we're far harder on ourselves when we think we have to measure up and compete with the Joneses. So let's just give ourselves a break and do our own thing. So what if we have a smaller following, a messier home, an uglier meal, or a more boring day? Who's to say that's worth less? Today I'm giving you permission to love your life just as it is. Behavioral change starts with a change of belief. Trying to change outward manifestations of our beliefs is ineffectual at best and definitely more tiresome and frustrating when we slip back into old patterns because the underlying beliefs haven't budged an inch in the right direction. It's like treating the symptoms instead of the illness. When we were little, our parents would often tell us to do things just "because they said so." And while that logic might have worked when I was six, it doesn't stick very well now. I do much better when I understand the reason why I'm doing something. Trying to change my habits goes the same way. When I'm trying to eat healthier, it doesn't work to just remind myself that eating plates of cookies isn't good for me. It's far more effective to remember that eating too many sweets leaves me feeling less than stellar afterward. We're setting ourselves up to fail when we think negative thoughts about ourselves. Of course, we need to acknowledge the areas in which we're weak, but they are opportunities for growth, not reasons to punish ourselves or dwell on our shortcomings. And when I believe that I can't do something (like changing my habits, adopting a new one, or reaching a goal that seems a little far-fetched), then I'm building a roadblock for myself, one more obstacle to have to overcome to reaching my goals: myself and my own wrong beliefs about my abilities. When I catch myself thinking negative things, I try to turn them around. I go back to what I know to be true. "All things are possible with God." "Don't give up without trying." Not all of these create night-and-day differences in my attitude or my ability to achieve my goals, but they're certainly steps in the right direction. When I believe in myself (and in my God), I'm no longer shooting myself in the foot, holding myself back from doing and becoming more. What helps you engage in more positive self-talk? I'd love to hear from you in the comments! And if you're looking to turn your self-talk around as a goal this year or as part of a goal, check out my Goal CRUSHING Coaching! I can help you get there!